The folks over at WeWork have put together a great blog post that features seven tricks and tips to save time by doing less. It’s a great article on productivity, especially as it concerns being efficient. You can’t expect your customers to love and respect you, your business, your company, your employees, etc. if you don’t love and respect your customers and employees. Love and respect = value. 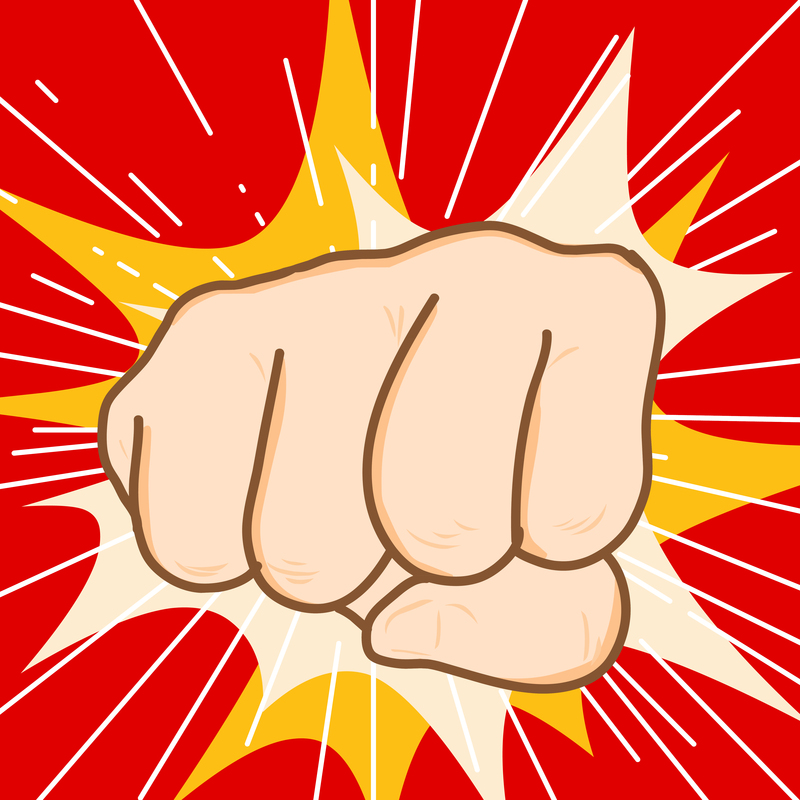 When you take advantage of your employees, your customers will inevitably find out. Think Abercrombie & Fitch. If you take advantage of your customers, your employees will have low morale. So, I didn’t come up with this diagram. I’ve borrowed the idea. Unfortunately, I don’t remember who originally came up with the concept. However, the idea is sound. And true. 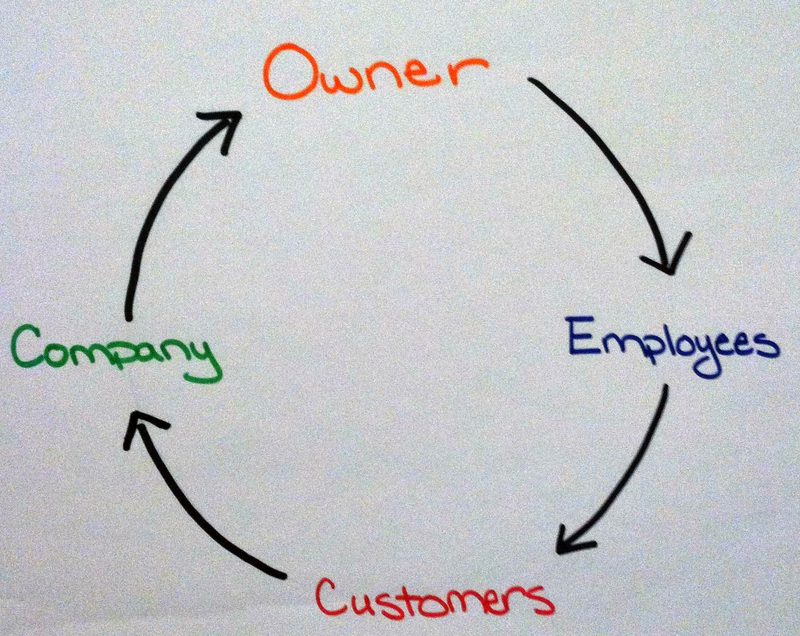 Starting at the top, if the owner takes care of the employees, the employees will take care of the customers. In turn, the customers will take care of the company, and the company will take care of the owner. Occasionally, what happens is that the owner will just take care of the customers or the company, effectively turning his back on the employees. Often, this happens because the owner doesn’t (or most likely won’t) trust his team. There is no quicker way to disenfranchise your employees than to turn your back on them. If you don’t trust your team, and if you’re being honest, that means you really don’t trust yourself. Otherwise you would trust your ability to put a great team together. You would be able to delegate responsibilities knowing they’d be managed effectively. Your focus would stay on managing, mentoring, building, growing and, more importantly, leading your team. Focus on building a company that follows this cycle and you’ll create a happier team, a happier company, and happier customers. Out of all the advice I’ve ever given, or will ever give, this principle seems to be the most important. Why? Because I see the same mistake made over and over and over again. Do not make important decisions regarding your business when you’re strapped for cash or when you’re emotional. You won’t be thinking clearly, therefore you’ll make poor decisions. Just like going shopping when you’re hungry. My advice? Take a deep breath. Consult a third party, preferably one you trust. Or, at least wait until you’re no longer hungry. When it comes to marketing expenses, you can’t expect to spend zero dollars on marketing your business and still expect to set sales records. Restaurants are a perfect example of this at play in the real world. Understandably, it costs a ridiculous amount of money to start a restaurant. From renovation fees to obtaining licenses, opening a restaurant can be a huge investment. In fact, RestaurantOwner.com did a survey and found the average cost to start a restaurant was $451,966. It’s no surprise that once an owner is finished spending nearly half a million dollars they’re reluctant to invest anymore into the business. But that’s just it. You don’t drop half a million into a venture without expecting an eventual return on that investment. Marketing is just a way to protect the investment.